Tired of hunting for figures in stores? HasbroToyShop.com has you covered! Thanks to fellow Seibertronians reluctantyouth, philswitch engage, and bossman328 for informing us that over a dozen new products are available on HasbroToyShop.com. These new products range from Generations to Age of Extinction to Rescue Bots. Most, if not all, of these products are scheduled for shipping around the end of this month. Hasbro's newest Transformers products can be found at http://www.hasbrotoyshop.com/SearchResults.htm?SWD=transformers&PG=1&NPG=30&ST=NW. In addition, reluctantyouth let us know that the promo code 10htsdisc will save you 10% on your order with HasbroToyShop.com currently. So what are you waiting for? Order yourself some new Transformers and have them delivered right to your door. Gas money and time saved! Please give bossman328 some credit as well because I saw that his post was up prior to this one. Thanks for credit. Also there is a 10% off valid code that helps a little. It is "10htsdisc"
if only today was payday. These are tempting. If their preorders are still available by next week, I'll bite. Been hankering for these guys after picking up Rattrap and Tankor. Can't get enough Generations! i new hts would pull through. still sticking with the jetfire preorder on amazon though. Finally, got myself Waspy, Skids and Dreadwing! 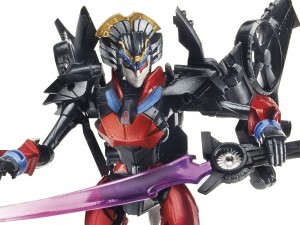 got my windblade. I haven't heard great things about the fig but its "fanmade" so I feel I should get one. Kinda glad I cancelled the BBTS preorder now. I wonder if I'll be as lucky with Arcee...I seem to doubt it. Drift082111 wrote: Please give bossman328 some credit as well because I saw that his post was up prior to this one. Normally we do a first-come first-serve for news credits but since we were delayed with posting it, I gave all 3 credit thanks to your post. Of course, and thank you for the swift response! Thanks for the heads-up guys! Just took care of my Generations and AOE fix in one fell swoop, just like the good old days of retail. 4,124 pages were recently viewed by 933 unique visitors. This page was viewed 1 times on Friday, April 19th 2019 3:39pm CDT. © 2019 Seibertron, Inc. DBA Seibertron.com. All Rights Reserved. Established June 2000. Seibertron.com is owned by Ryan Yzquierdo.